They died with smiles on their faces. Three apparent suicides: a brilliant engineer, an infamous lawyer, and a controversial politician. Three strangers with nothing in common - and no obvious reasons for killing themselves. Police lieutenant Eve Dallas found the deaths suspicious. He is an expert with the latest technology...a madman with the mind of a genius and the heart of a killer. He quietly stalks his prey. Then he haunts the police with cryptic riddles about the crimes he is about to commit - always solved moments too late to save the victims' lives. No one likes to be alone during the holidays. For New York's most posh dating service, Personally Yours, it is the season to bring lonely hearts together. 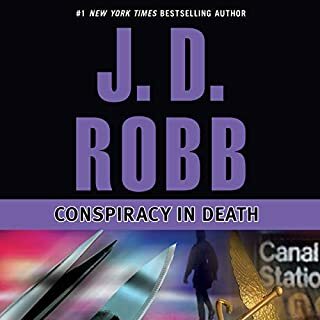 But Lt. Eve Dallas, on the trail of a ritualistic serial killer, has made a disturbing discovery: all of the victims have been traced to Personally Yours. With the precision of a surgeon, a serial killer preys on the most vulnerable souls of the world's city streets. The first victim: a sidewalk sleeper, found dead in New York City. No bruises, no signs of struggle. Just a laser-perfect, fist-sized hole where his heart had once been. An unknown bomber is stalking New York City. He is sending Eve Dallas taunting letters promising to wreak mass terror and destruction among the "corrupt masses". And when his cruel web of deceit and destruction threatens those she cares for most, Eve fights back. It's her city...it's her job...and it's hitting too close to home. Now, in a race against a ticking clock, Eve must make the pieces fit - before the city falls. In an uptown strip joint, a cop is found bludgeoned to death. The weapon's a baseball bat. The motive's a mystery. It's a case of serious overkill that pushes Eve Dallas straight into overdrive. Her investigation uncovers a private club that's more than a hot spot. 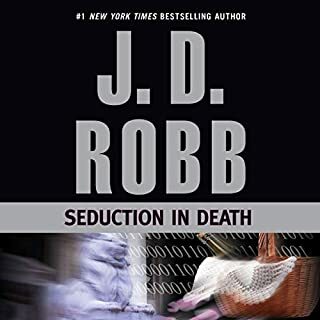 At the luxurious Roarke Palace Hotel, a maid walks into suite 4602 for the nightly turndown - and steps into her worst nightmare. 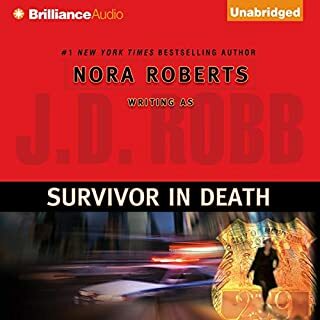 A killer leaves her dead, strangled by a thin silver wire. He's Sly Yost, a virtuoso of music and murder. A hit man for the elite. At exactly 7:30 p.m., Walter Pettibone arrived home to over a hundred friends and family shouting, "surprise!" It was his birthday. Although he had known about the planned event for weeks, the real surprise was yet to come. At 8:45 p.m., a woman with emerald eyes and red hair handed him a glass of champagne. One sip of birthday bubbly, and he was dead. 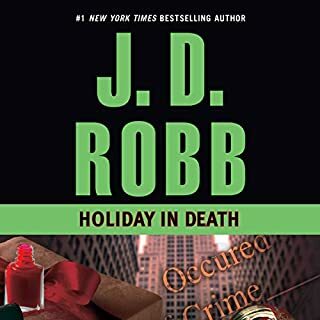 After a tip from a reporter, Eve Dallas finds the body of a young woman in a Delancey Street dumpster. Just hours before, the news station had mysteriously received a portfolio of professional portraits of the woman. The photos seemed to be nothing out of the ordinary for any pretty young woman starting a modeling career. Except that she wasn't a model. And that these photos were taken after she had been murdered. Now Dallas is on the trail of a killer who's a perfectionist and an artist. He carefully observes and records his victim's every move. No affairs. No criminal connections. No DNA. No clues. 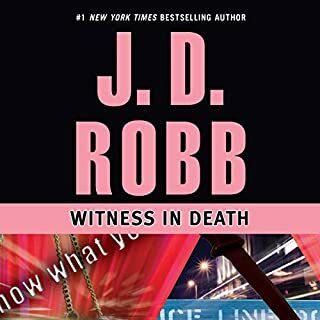 Eve Dallas may be the best cop in the city - not to mention having the lavish resources of her husband Roarke at her disposal - but the Swisher case has her baffled. The family members were murdered in their beds with brutal, military precision. 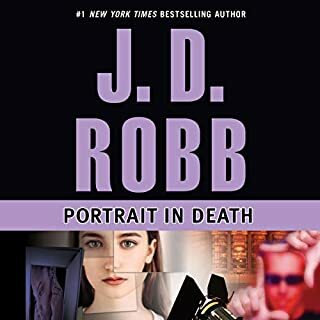 #1 New York Times bestselling author J. D. Robb presents the fifth thrilling novel in her futuristic In Death series—where even in an age of cutting-edge technology, old beliefs die hard. I'm addicted to this series! I can not get enough of this story! This one had me on the edge of my seat at the end, could not take my headphones off! I do wish the book went a few chapters more though, wrapped up some loose ends. Like, what happened to the white witches? What about Jamie? 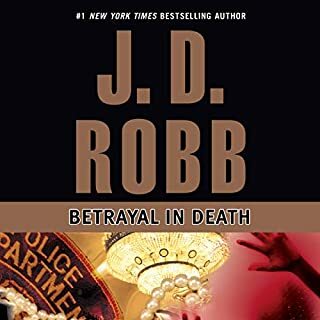 Etc..
One of the Best of "In Death"
In a series I enjoy so much, it's difficult for one book to stand out above others. 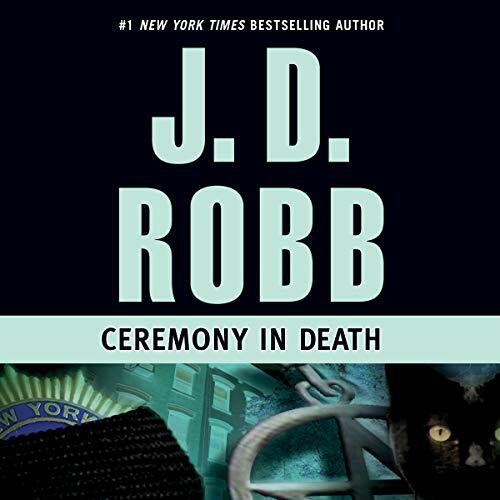 But Ceremony In Death, Book 5 of the In Death series, certainly stands out. Maybe it's the involvement of the opposing forces of Wiccans and their ceremonies, and Satanists and their black magic, which certainly give a twist, and a hint of danger, to the plot. Or maybe it's the other aspect of this series that I love so much -- the character development. In any case, it's one of my favorite entries in one of my favorite series. This series has me hooked and coming back for more a bit more often than my pocketbook would like. That says a lot, since I have already read the entire series to date in print. 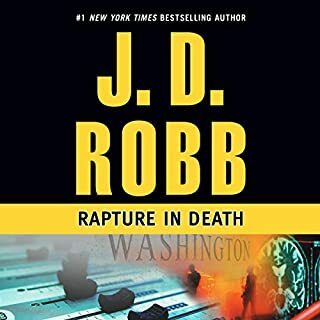 These books are great to revisit -- if you've already read the whole series, a reread or listen enables you to fit pieces into the overall picture of Dallas's life and career that you might have forgotten or missed. Perhaps best of all is the opportunity to review the additions to the growing cast of regular characters in her world. 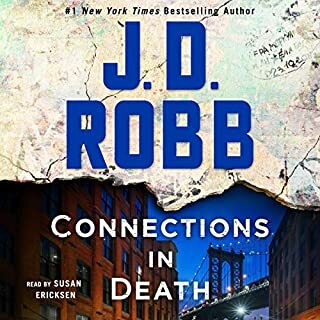 And just let me say that Susan Ericksen does an exceptional job of narration in this series, with great voices and characters. I must admit that I was at first put off by the voice chosen for Peabody, but it has grown on me, and it adds dimension to Peabody's frequent ironic statements. OMG what a great series. 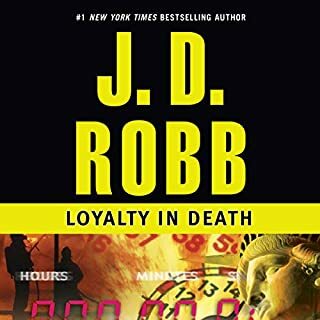 I love the "in Death" books. If you like romance, murder, mystery and suspense this is for you. I do constantly! I recommend this series to most of my friends. We all like the cop shows on TV and this series reminds me of Law and Order or something. YES. I love the incorporation of Wicca. Very good plot in this one. Which character – as performed by Susan Ericksen – was your favorite? II love them all! I cant pick just one favorite, but her narration of the men, Rourke particularly, is very impressive. I plan on getting all of the books! Yes! I listen to them at work so it makes me excited to go back to work the next morning to see what happens! 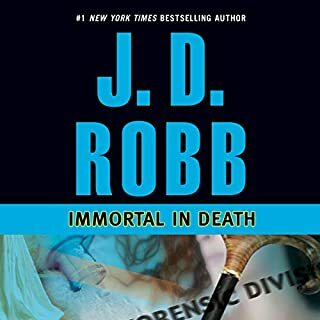 One of the earlier "In Death" books, Eve Dallas meets up with a nasty bunch of devil worshipers who are responsible for the death of an older police officer and his granddaughter. Of course Eve takes this personally, and the satanists don't stand a chance in you-know-where. There are good witches (Eve gets a Celtic protection talisman) and bad witches (Eve is attacked with poison fingernails) in this tale, which is a good fast read and sets the mood for Samhain celebrations (aka Halloween). It always amazes me the research that goes into a book - even though this is way in the future, the crimes and relationships and procedures are "real" you don't feel like you are being fed nonsense. Peebody is a character all by herself and her voice (thank you Susan!) just suits her so well - I find myself wishing her all the best and pushing her to achieve. Summerset - the best. Mavis, totally a character on her own. 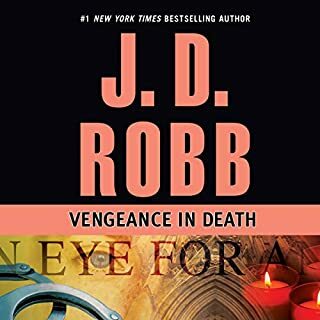 Eve and Roarke - have to continue reading - need to find out what happens - the suspence is killing me! 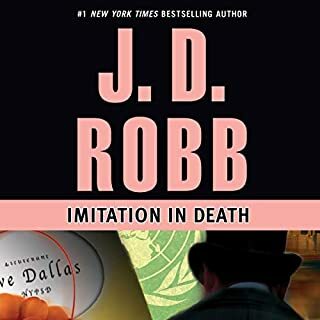 Excellent story and well performed, but I thought Dallas was too hard-nosed/snarky in this book. Her treatment of Peabody and other characters was just too rude and over the line. I love the fact that this story includes all my favorite characters. 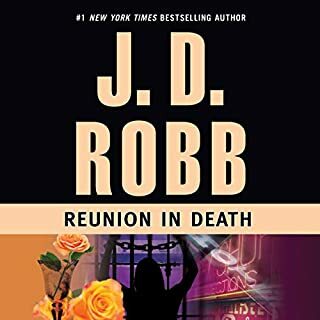 It has Nadine; Feeney; Peabody; Mavis; Trena and of course Roarke and Eve. The story also introduces Jamie who is in several other books - and he's a kid with a great mind and an iron will. 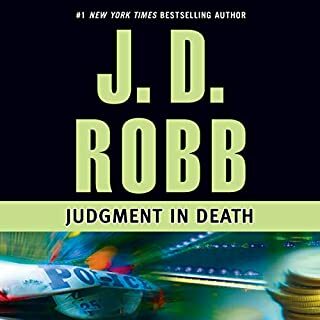 This story shows Dallas in many aspects - the woman; the wife; the human; the friend - and of course - the cop. She's a simply fabulous character that I never tire of hearing! Well always Eve... but she does a simply fabulous job at all the characters - I always get a big charge out of hearing her do the exchanges between Treena and Eve... always a winner! 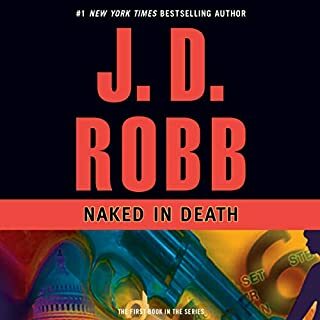 My favorite moment in this one was the exchange between Feeney; Dallas - and later Roarke. Where Feeney is 'done with her' because she obeyed orders rather than coming to him as a friend. 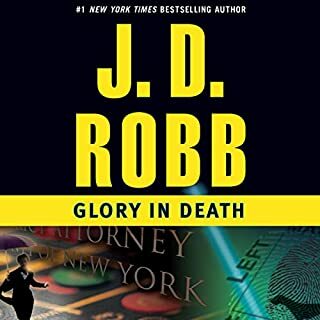 Then later when Roarke explained what Feeney really means to Dallas. That whole part is one of my absolute favorite in this book. I can't stop listening to these books. 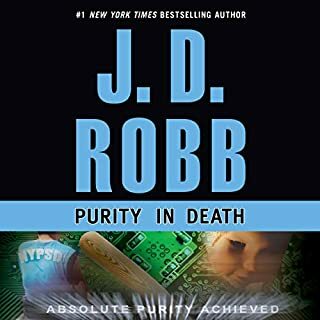 JD Robb has me on the edge, waiting to hear what happens next. And the book is so skillfully read, I feel like I'm there. Does Eve have to be such a hardass ALL THE TIME? It is getting boring.